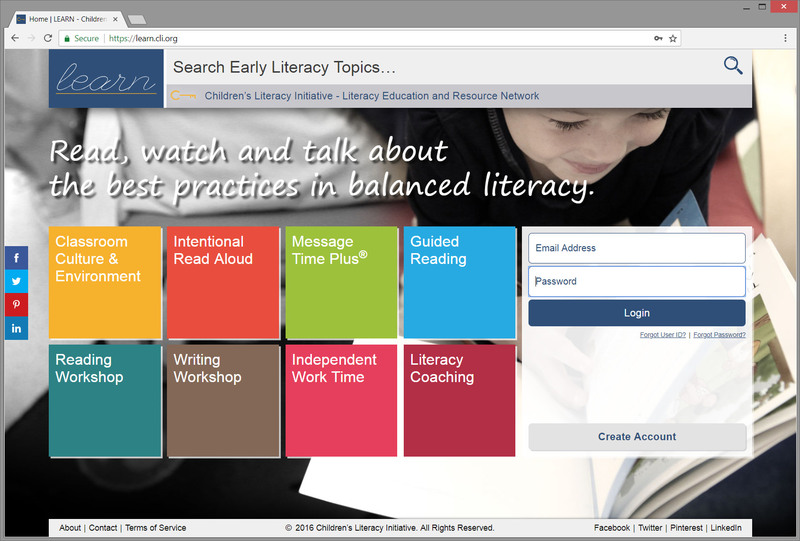 LEARN is your guide to the very best in research based literacy practices. You will learn all about high impact strategies that are respectful of children’s needs and interests while promoting joy and rigor in the classroom. 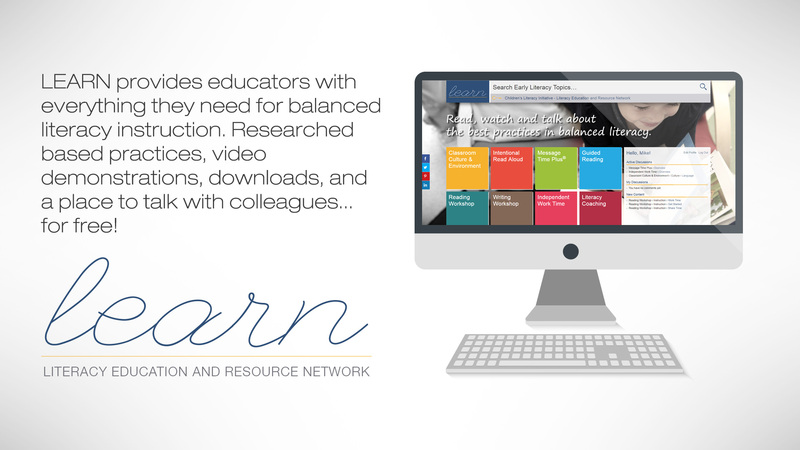 LEARN focuses on the core instructional practices validated through our i3 (investing in Innovation) grant, and identified by the National Reading Panel. 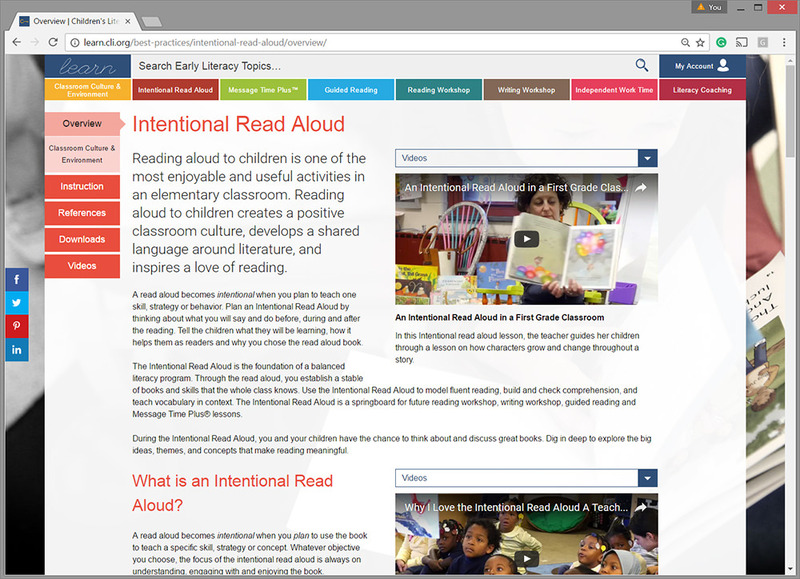 Topics include Intentional Read Aloud, Guided Reading, Message Time Plus™, Reading Workshop, Writing Workshop, Independent Work Time, Classroom Culture & Environment, and Literacy Coaching. We captured lessons in real classrooms, with real students, using relevant literacy objectives to illustrate the practices teachers will read about. 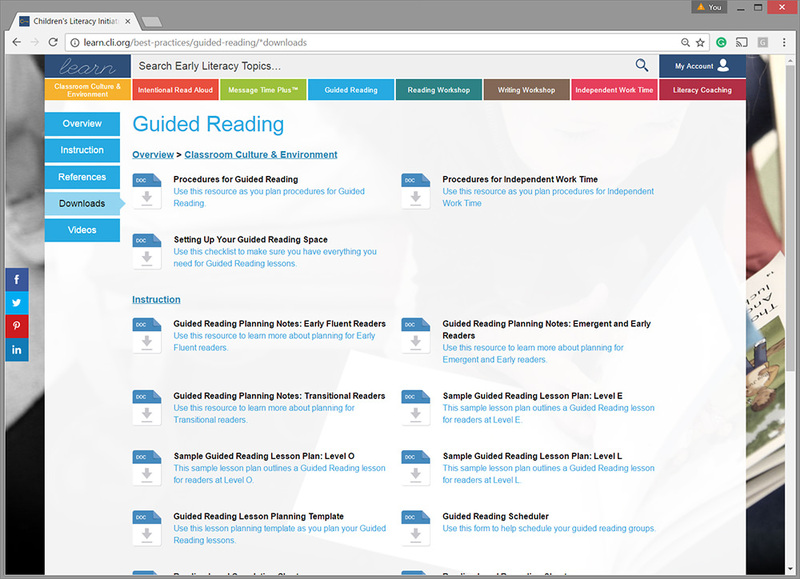 LEARN offers teachers downloadable tools, including lesson plans, checklists, planning templates, and guides, so that they can quickly and easily implement these practices in their classroom.